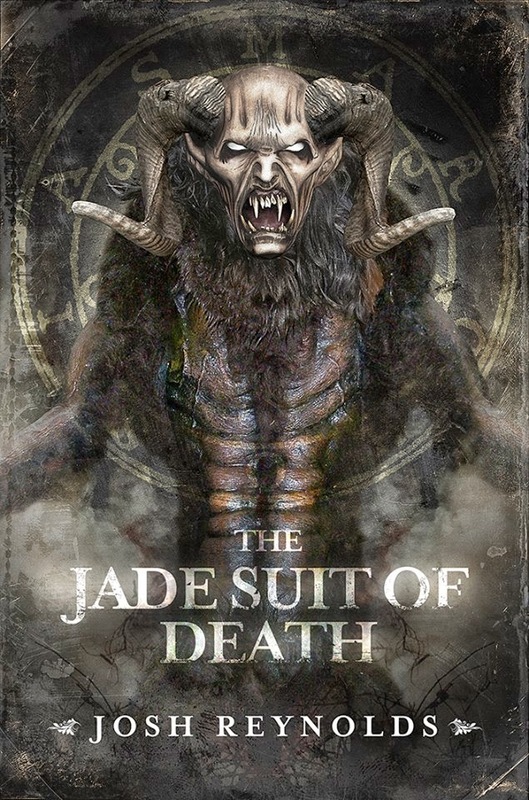 The Jade Suit of Death is Josh Reynolds' second full-length novel featuring his series character Charles St. Cyprian, England's Royal Occultist handling supernatural threats to Queen and Country, and his assistant, Ebe Gallowglass. As with most of the other Royal Occultist stories, there are plenty of crossovers in this one. Once again, St. Cyprian's predecessor Thomas Carnacki (from William Hope Hodgson's Carnacki the Ghost-Finder) is mentioned several times. Lady Molly Robertson-Kirk, the title character of Baroness Orczy's Lady Molly of Scotland Yard, has a supporting role. New Pulp author Jim Beard's occult detective Sgt. Janus is alluded to. A character is described as part of the "Kensington Circle" of occultists, which also included John Silence (from Algernon Blackwood's collection of the same name), the Sar Dubnotal (a French pulp character created by an anonymous author), and Flaxman Low (from E. and H. Heron's Ghosts; Being the Experiences of Flaxman Low.) St. Cyprian has a figurine of a falcon in his Cheyne Walk home (the Maltese Falcon, of course.) There are others that will be covered in my writeup for the novel in the book. Josh Reynolds is a wonderful writer, and I highly recommend his work. The Maltese Falcon shows up a lot of places. I remember that in Simon Greene's Nightside stories multiple Maltese Falcons show up at various times in street bazaars. It said they are all fake, so I wonder if every mention of the Maltese Falcon is the real bird or not. I've enjoyed everything I've read by Reynolds.